What future for the forested landscapes of our region? We inhabit a region known for abundant forest resources, a region situated within a state nationally known for its forests. It is a special place and our people have special connections with our surroundings. Meanwhile, families grow, children move away and back, communities change in size and composition, the economy cycles, and the climate influences our habitat. We know these things and thus recognize that our future landscape could take many forms, and for these reasons we continuously revisit the question of how people connect with natural resources and the forested landscape? There is no single answer to this question. Economic benefits of the wood and paper industries are felt directly and indirectly throughout the region. Forested landscapes also offer recreational opportunities and contribute to our vital tourism industry. Many of us work in these industries. We know families that generate seasonal income or other benefits from non-timber forest resources, such as maple syrup and balsam boughs. Forests provide habitat for many animals that feed our families, such as deer, bear, and moose. Forests contribute to our individual and collective identity and to our individual and common culture. We are northern Minnesotans: independent and resourceful. We are loggers, mill workers, trappers, hunters, harvesters, jam-makers. We have fun making a few bucks in the woods even if we don’t really, once we run the numbers. 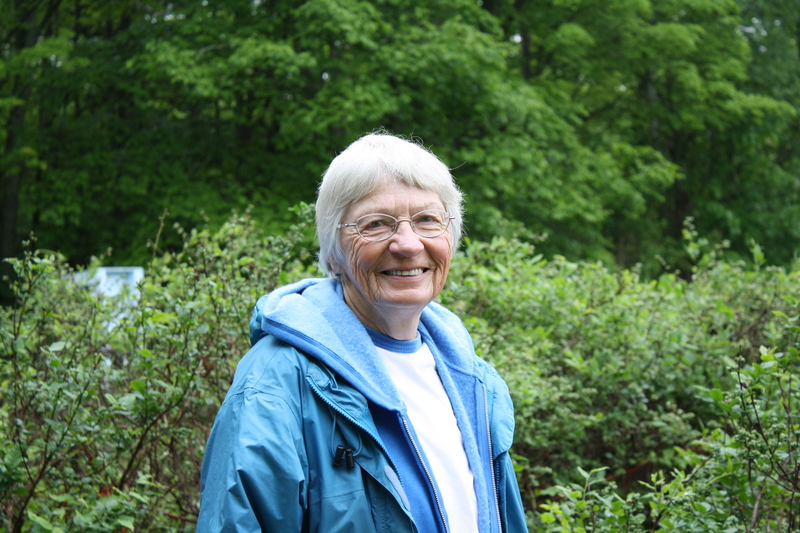 There is no certain future for our region’s forested landscapes but we have a hunch that understanding people connections to natural resources and the forested landscape will help us to ensure that future resources align with our collective needs and wants. 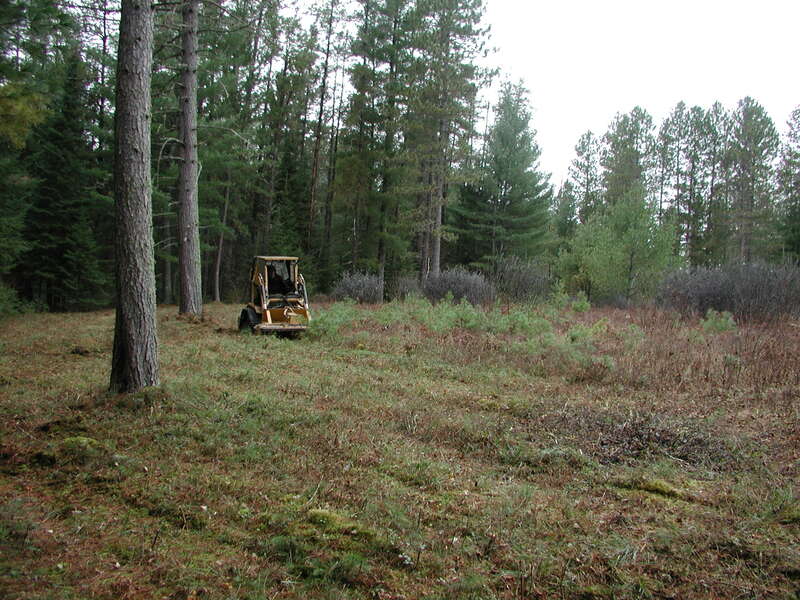 To learn more about these connections Extension is making a concerted effort to learn about the full array of forest resources, both timber and non-timber, used and appreciated by people within and around the region. The Thirteen Moons program is one example of this effort. 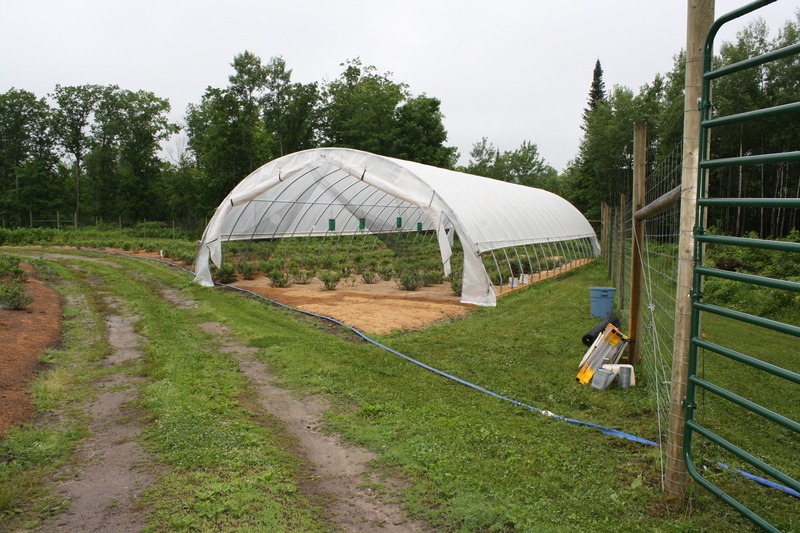 Thirteen Moons addresses an identified need to fortify connections between Fond du Lac (FDL) community members and traditional natural resources. This program emerged from a 2008 listening session and needs assessment that focused on Band members’ perspectives on natural resources and their use. The traditional Ojibwe calendar year follows the 13-moon lunar cycle. Each moon is named for a natural phenomenon – the activity of a seasonally active animal, an important cultural practice or belief, or a prevalent environmental condition. Thirteen Moons taps into this cycle, providing educational content relevant to the community’s interests through partnerships with knowledgeable community members. The seventh annual Goods from the Woods marketplace and celebration, featuring 70 high-quality regional artists and craftspersons offering unique, handcrafted items produced from the bounty of our northern forests. Seventy skilled and experienced artists and craftspeople from the region who handcraft high-quality products produced from materials harvested from our northern forests. Minnesota Wood Education Project, sponsor of the event. Ruttger’s Sugar Lake Lodge, host of the event. Goods from the Woods: From 9:00am to 6:00pm. Ruttger’s Sugar Lake Lodge, Grand Rapids, Minnesota. Shuttle bus service will run hourly from Grand Rapids to Goods from the Woods with stops at Central School (highways 2 and 169) on the hour, Shops of Distinction, L&M Fleet Supply, Timberlake Lodge & Hotel, and Sawmill Inn. Outstanding craftsmanship will be on display throughout the event. Some examples include Bent Willow Furniture, Walter Grittner’s “chip carved” boxes, Nature & Judi Carlson’s flower-pounded pillows and home decor, Andrew Kringen Designs’ original design wood inlay cutting boards and other items, and Timber Farm Canoes. Many of the artists and craftspeople will be doing live demonstrations of their work. 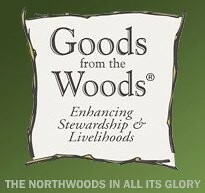 The purpose of Goods from the Woods and the related programs of the Minnesota Wood Education Project is to increase the awareness of the value of sustainable management of our forests and improve the economies of our Minnesota forests communities. The organization is a non-profit, 501(c)(3) tax exempt group. Have you ever seen a birch bark canoe being built? Check out the upcoming Language Immersion & Canoe (Jiimaan) Building Project being held from 08 – 28 June at the Fond du Lac Reservation Cultural Museum. A team of master bark canoe builders and Ojibwe language experts will guide 8 students through the harvest of materials and creation of a birch bark canoe, a process that takes around 3 weeks. The daily workshops are open to the public and those interested can attend for as little or as much time as desired. The FDL Cultural Museum is located at the intersection of Big Lake Road and University Road off of Hwy 33 in Cloquet. 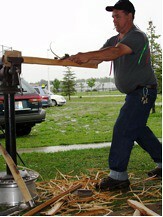 Canoe building activities will occur outside under the wigwam. For information contact the Museum at 218.878.7582. It’s time to start tapping the sugarbush when we start to have warm days (above freezing) paired with cold nights (below freezing). Tapping Maple trees (Acer spp.) is a great spring activity for individuals, families, and friends. The ratio of sap to syrup is determined by the rule of 86 (86 / % sugar in the sap), and is roughly 45:1. Small producers, those with only a few trees, can freeze sap until sufficient quantity has been collected for processing. Maple sap is most often processed by reducing the sap to syrup through boiling or, more recently, through reverse osmosis. The resulting Maple Syrup can be consumed, traded, or sold. 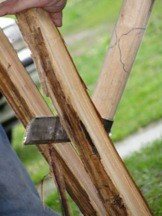 In some cultures, the sap is consumed without processing as a medicinal tonic. Putting a new twist on the old, Wind Tree Winery in Cloquet, MN produces a Maple Syrup wine. Demand has exceeded supply in the last few years and prices look to be great this year. Each year, University of MN Extension offers Maple Syrup Clinics in different locations throughout the state. For those unable to attend, Extension has produced several publications on Maple Syrup and there is a MN DNR video on the process. There is also the MN Maple Syrup Producers Association. Ohio State Extension’s Maple Syrup Producers’ Manual (see image below) is a comprehensive resource for producers. When spring peepers hail the end of the Maple Syrup season, a few hardy producers switch gears and collect birch sap. Tapping birch trees is much like tapping maple, but the similarity ends there. While maple sap contains sucrose, the natural sugar in birch sap is fructose. Birch sap, collected from Paper birch (Betula paperifyera) also contains several vitamins and minerals including vitamin C, potassium, manganese, and calcium. Native American Indians have long known of its medicinal benefits and there are many cultures that bottle the sap for a health drink. Alaska has several major producers that create a variety of birch products. On average, 100 gallons of birch sap are needed to make a gallon of birch syrup.The sap is processed differently, with boiling techniques that evaporate water and avoid burning the fructose. Connoisseurs also tap yellow birch (B. alleghaniensis) in early spring, before the leaves unfurl. While yellow birch bark is a known source for ‘Wintergreen Oil” the sap is sweet with a slight wintergreen taste that is boiled to create syrups and flavor beer and wine. Yellow birch sap is known to have a sweet flavor, with very low sugar content. Stay tuned for a forthcoming post about our yellow birch tapping trial! University of Minnesota Extension: Dave Wilsey (dwilsey [at] umn.edu) or Julie Miedtke (miedt001 [at] umn.edu). Nontimber forest products and implications for forest managers. 2002. M.Reichenbach, J.Krantz, and K. Preece. University of Minnesota Extension. Nontimber forest products in the United States (book). 2002. E.T. Jones, R.J. McLain, and J. Weingard. University Press of Kansas, Lawrence. Plants used by the Great Lakes Ojibwa. (book). 1993. J.E. Meeker, J.E. Elias, and J.A. Heim. Great Lakes Indian Fish and Wildlife Commission (GLIFWC), Duluth. Long winter months offer prime time opportunities for exploring forests. Frozen soil conditions allow access to some of the more intriguing, ‘off the beaten path’ places in the woods. It’s a great time to visit bogs & swamps, swales, and islands that may seem out of reach during much of the year. Winter excursions can be memorable and invigorating, but most of all it will inspire greater appreciation of forests.